If you are looking for the best & friendliest accommodation for the Hay festival, you've found it! We open our bookings for the Hay Festival in the January each year. Make sure you sign up for our newsletter so as not to miss out! We provide a quiet, level and spacious site situated 5 minutes walk from the festival that allows you to easily pop back to your tent between events. There are no further charges to use our purpose built onsite toilet block, which is monitored and cleaned regularly, that has amazing hot showers. If you are new to us please look at how we operate our camping during the festival as it is different than the rest of the year. Our spacious and atmospheric Glamping Tents provide a camping experience beyond all expectations. Most people are taken by how comfortable and pleasant our Glamping tents can be and how they create a spacious and warm atmosphere. You just turn up and it's all ready for a comfortable camping experience. Just bring along sleeping bags/bedding & towels. 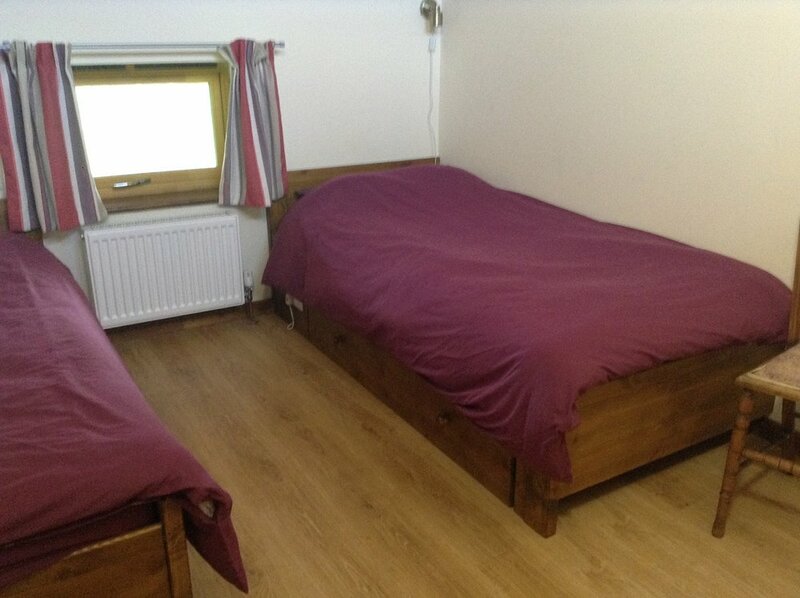 We have limited B&B or Bed only accommodation in our Lodge or Cottage. There are rooms for 2-3 persons sharing. This is booked up very early each year, but there is sometimes some last minute cancellations, so it is usually worth registering an interest as you never know your luck. Don't miss out, sign up and we'll let you know when we open bookings! Min 3 night stay during Bank Holiday W/end. Email us with all your details to book. Dates, no. of adults, age of any children, no. of cars and size of pitch required. A booking will be reserved for 7 days whilst awaiting full payment. Confirmation of your booking will be acknowledged on receipt of payment. Refunds will only made if cancellations are received more than 6 wks prior to arrival. 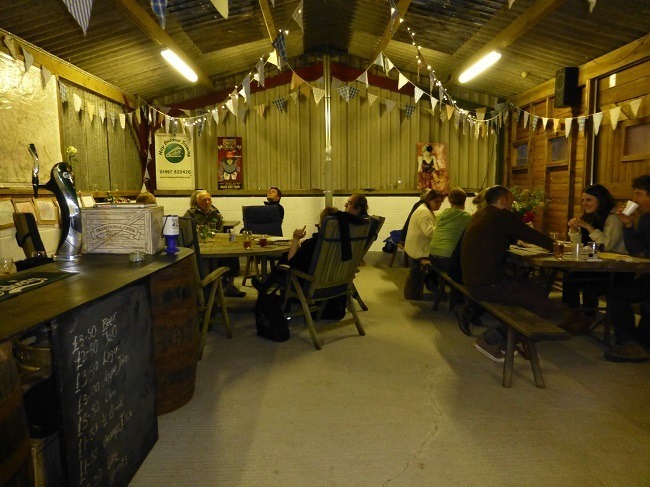 Our Pop up Pub proves as popular as ever each year, so we will be set up again to provide breakfast, snacks, evening meals and a bar!